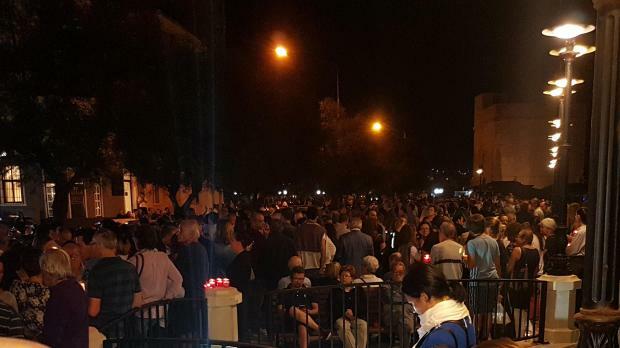 Thousands have flocked to Sliema to mourn journalist Daphne Caruana Galizia and express solidarity with her family following her brutal murder. 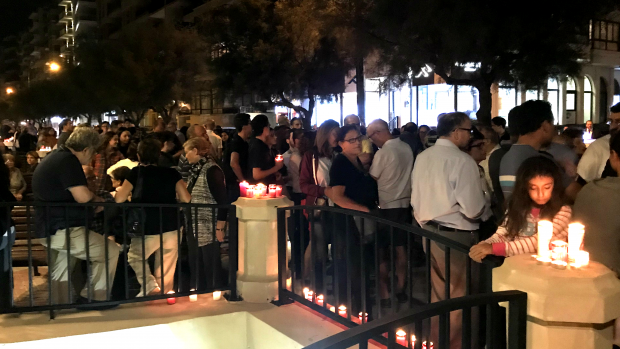 The candlelight vigil crowd stretches from Sliema's Torri to Spinola Bay in St Julian's, with people young and old having assembled, candles in hand, for the sombre demonstration. 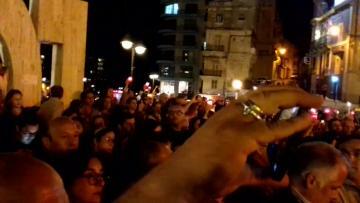 "Look where we've ended up," one person told Times of Malta. 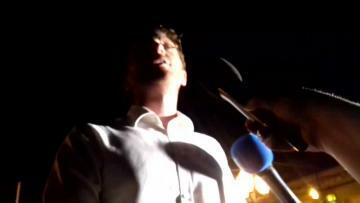 "We're here to show our solidarity and to make it clear we won't be silenced," another added. A solemn air pervaded the gathering, with people visibly stunned by the day's events. Ms Caruana Galizia was brutally murdered this afternoon in a car bomb explosion just a few hundred metres from her Bidnija home. Prime Minister Joseph Muscat has said local investigators will be helped by the FBI and other foreign security services in an attempt to track down the perpetrators. 'The saddest day that I've lived': lawyer and Caruana Galizia family friend Luke Frendo speaking at the vigil. Solidarity with Ms Caruana Galizia's family extended to the digital world, where outpourings of shock and grief at news of the killing led to 'Daphne Caruana Galizia' trending worldwide on Twitter. Locals horrified by the murder have also taken to swapping their Facebook profile photos with a temporary blacked-out one, in an online expression of mourning. The solid black images need little explanation, though some have chosen to drive home their message, adding '#JeSuisDaphne' notes which echo the 'Je Suis Charlie' movement which went viral following the 2015 Charlie Hebdo attacks in France. 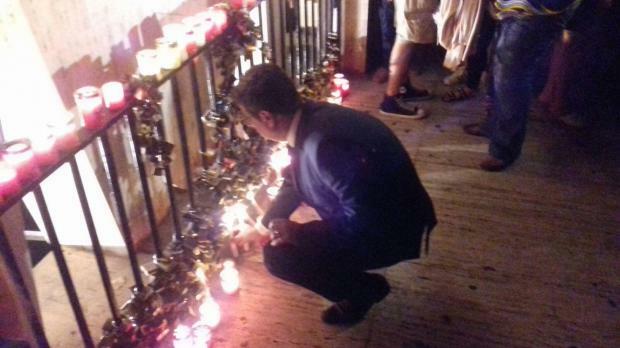 PN leader Adrian Delia lights a candle at the vigil. 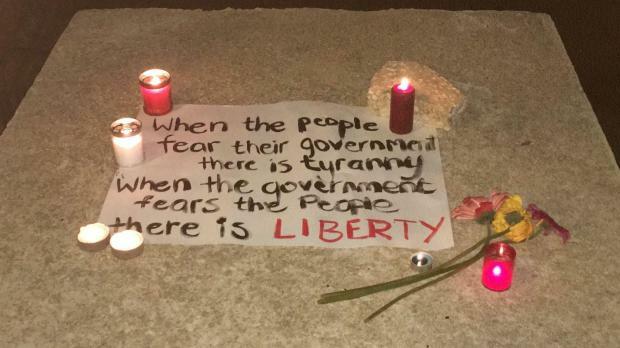 A sizeable group of Maltese people living in London also gathered outside Malta's High Commission in Mayfair to pay their respects to the slain journalist. 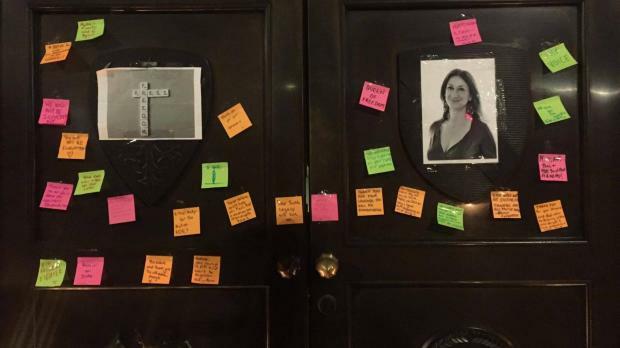 Mourners held candles and stuck post-it notes with messages of solidarity to the High Commission door. 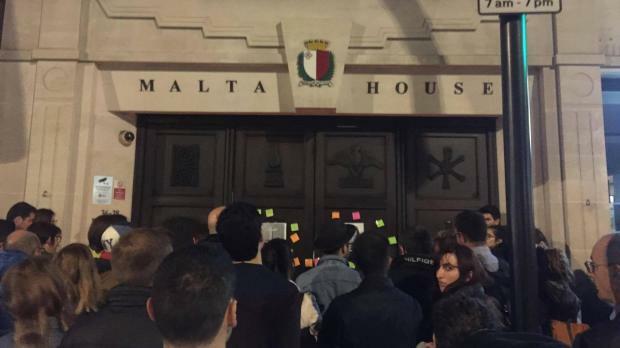 Messages addressed to Ms Caruana Galizia were stuck to the High Commission door in London. People gathered outside the High Commission.